A "square" face is characterized by a broad forehead with a strong, horizontal jaw that's very defined. The length and width of the face seems to be almost equal. YES: Frames that are more rounded or oval-like will give contrast to your sharp facial features. Frames that are bold, or dark in colour will help divert attention away from the strong facial features as well. NO: Frames that are geometric or square-shaped will hyper-accentuate your facial structure. A "heart" face is characterized by broad forehead that extends into a small chin. These people have high, angled cheekbones. YES: Frames that are rounded or oval-like can soften the look of sharp, angled cheekbones. Thin and light-coloured frames will balance the softer look of the narrow chin. Try to find frames that are slightly wider than your forehead. You want to balance widths of your face. NO: Frames that are thick at the top or heavily embellished/designed. You don't want to attract more attention to the top half of the face. I'm included in this category. An "oval" face is characterized by a lightly and evenly curved forehead and jaw. Length of face is longer than the width of face. Deep frames are very flattering. This is the most versatile face shape. YES: Almost any style can work as long as it can give contrast and add a look of additional angles to the facial curves. NO: Oversized frames that overwhelm your facial features. A "round" face is characterized by full, plump cheeks, wide forehead, and round chin that is not as defined. Length and width of face is near equal. YES: Geometric/rectangular frames can add some angles and definition to your face. Frames that are wider but not as deep are flattering. You don't want frames that are too deep such that it swallows up your face. NO: Small, short or round frames will accentuate the curves and roundedness of your face. A "diamond" face is characterized by a narrower forehead, wider cheekbones, and a narrower jawline. Very angular face. YES: Oval or rimless frames adds contrast and minimizes additional angular lines of the face. Glasses with strong brow lines can help accentuate other features of the face other than the face shape. A balance between angles and the enhancement of other facial features is what you want. NO: Very narrow or thin glasses will hyper-accentuate the diamond shape of your face. You don't want to draw attention to your narrow eye line. An "oblong face" is characterized by very long and narrow facial structure. May have a prominent forehead or prominent chin. Long cheek line. 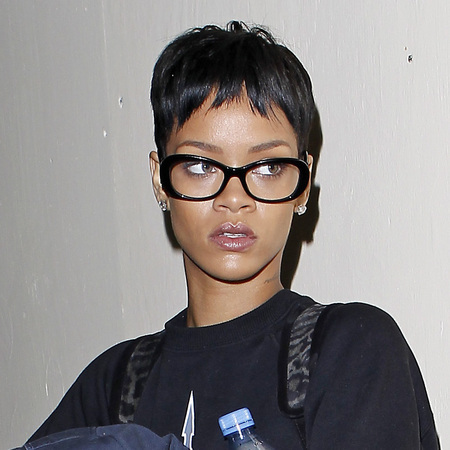 YES: Oversized frames with geometric or round lenses will work well with your face. NO: Narrow, rectangular frames will make your face look longer than it actually is. Glasses are now more than just prescription eyewear to help with vision, but they're becoming more of a stylish accessory. Hope this helps you pick out your future glasses!